Roy Edgley, 1925–1999In the early 1970s the Guardian reported that Professor Roy Edgley of Sussex University had gathered around him a group of younger, like-minded thinkers and founded a movement of radical philosophy with a journal. This report lay oblique to the actual facts of the case. 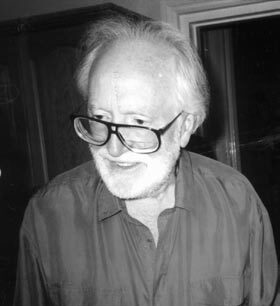 Roy Edgley was not one of the original founders of Radical Philosophy, though he arrived on the scene shortly after its founding. Nor did he ever aspire to be the leader of the movement, an aspiration his egalitarian principles and personal modesty would have utterly precluded. Yet the Guardianʼs view was not simply a distortion, and was in some measure understandable. Roy was the most prominent academic associated with Radical Philosophy in its early days, and the chief source of whatever intellectual respectability it then had in the wider world. Moreover, he did come to play a role of leadership by example, an example of personal integrity, political commitment and practical wisdom. This was so especially in the later 1970s and early 1980s, the Sturm und Drang period of the editorial collectiveʼs existence, before it attained the classic serenity that marks it now. A ﬁnal element of inner truth in The Guardianʼs report derives from Royʼs deep and lasting attachment to Radical Philosophy, an attachment given substance by his willingness to publish his best work there. For all these reasons it is entirely ﬁtting that we should now remember and celebrate his life and achievement. Roy Edgley was born in Northampton, and, on leaving the local grammar school at the age of sixteen, became a junior reporter for the Chronicle and Echo. A year later he volunteered for war service, and was assigned to radar work – on the strength, as he recalled, of the feat of reciting a Shakespeare sonnet to the selection board. He spent the war in India, and on being demobilized in 1947 returned for a time to the Chronicle and Echo. He then entered Manchester University, taking advantage of the Labour governmentʼs scheme for former service personnel, and emerged with a ﬁrst class honours degree in philosophy. He went on to a B.Phil. at Oxford, with Gilbert Ryle as supervisor, and became a lecturer in philosophy at Bristol University in 1954. In 1970 he was appointed professor of philosophy at Sussex, and remained there until taking early retirement in 1981 in order to concentrate on his writing. He was a proliﬁc author of journal articles throughout his academic career, and his book Reason in Theory and Practice appeared in 1969. He was also politically active as a socialist for nearly all of his adult life. The many causes he espoused included one in which Radical Philosophy took a special interest, that of the Sussex students victimized for their opposition to the visit to the university of Samuel Huntington, the architect of the ʻfortiﬁed hamletsʼ strategy in Vietnam (ʻThe Huntington Fileʼ, RP 7, Spring 1974). Roy was the only senior member of faculty to take this principled stand, a form of isolation he bore stoically but which must have been personally highly uncongenial. A vigorously argued defence of his position is given in his article ʻFreedom of Speech and Academic Freedomʼ, (RP 10, Spring 1975). The title Reason in Theory and Practice may be said to capture Royʼs central and constant philosophical concerns, and the book itself contains the germ of all he was to do later. It is written, as he was to acknowledge, ʻin the style and method of analytical philosophyʼ. In a sense he remained always an analytical philosopher, though one bent on subverting from within what that label is generally taken to represent. At any rate the virtues of clarity, precision and rigour which analytical philosophy claims for itself are those he most esteemed, and exhibited in everything he wrote. The themes he was to take forward from the book derive from its main thesis, a rejection of the linguistic conception of reason characteristic of the mainstream analytical movement. The ﬁrst of them is related to Royʼs insistence that reason is not primarily or essentially ʻreasoningʼ, discursive argument and inference. The central category is rather that of ʻreasonsʼ, considerations that tell for and against beliefs and actions. This shift of perspective has profound implications. In particular it serves to undermine the tendency in liberal ideology to identify the rational approach to practical problems as that of peaceful discussion, and so to set up a dichotomy of reason and violence. It is a dichotomy in which the liberal state seeks to ensnare protest without, of course, taking it as applicable to itself. These ideas are developed in Royʼs article ʻReason and Violenceʼ (RP 4, Spring 1973). The second theme is still more striking and important. It is the contention that the paradigmatic relations of reason, those of logic, do not simply hold between linguistic items such as sentences or propositions but are coextensive with relations of meaning. Thus, in Reason in Theory and Practice and later writings, Roy presents an intricate argument extending the scope of these relations from beliefs to actions to practices to social structures. The central case is the logical concept of contradiction which now in principle takes the entire social world within its range of application. It is, in Royʼs account, an essentially normative or evaluative relation: ʻto characterize something as a contradiction where that concept is a category of logic, is, at least by implication, to criticize it.ʼ Hence, the possibility opens up of a critical social science constituted through the exposure of contradictions, a project Roy takes to be at the heart of Marxʼs practice as a social scientist. What is perhaps most characteristic in Royʼs treatment of the idea is the insistence that the concept of contradiction provides the sole and sufﬁcient ground of critical social science and does not need to be supplemented by any other normative considerations. In this he shows himself a true philosopher, seeking to develop a uniﬁed theory of the greatest possible economy and force, not an eclectic making a patchwork from whatever lies to hand. Moreover, it would be hard to overstate the signiﬁcance of the issues at stake in what he projects. The point may be brought out most readily by noting how it ﬂies in the teeth of Hegelʼs explicit denial, a denial presupposed throughout his system, that a contradiction is as such a defect in anything. What Roy projects is nothing less than a radically non-Hegelian Marxism, and, moreover, one much more deserving to be called analytical Marxism than the various theoretically threadbare forms of anti-Marxism that have usually been awarded that title. Royʼs thinking on the subjects of violence and contradictions has been widely inﬂuential. It is now much less common than it was to encounter the facile antithesis of reason and violence, and his pioneering work in the area must deserve some of the credit. His conception of the critical power of contradictions was taken up most notably, though unfortunately in a coarsened form, in critical realism, a movement which seemed to view the existing body of philosophical ideas in the way Little Jack Horner viewed his Christmas pie, just as a source of plums. Royʼs priority in respect of this particular plum was belatedly acknowledged by Andrew Collier in his book Critical Realism. It was made manifest in a different manner through the inclusion in the collection of readings with the same title, edited by Margaret Archer and others, of the seminal Radical Philosophy article ʻScience, Social Science and Socialist Science: Reason as Dialecticʼ (RP 15, Autumn 1976). It remains the case that we still await a systematic theoretical development on the ground Roy prepared in that article and elsewhere. Anyone in the future who wishes fully to grasp and to articulate the idea of a critical social science in the service of human emancipation will inescapably have to return to that ground. The chief impression Roy made on those who met him was one of great courtesy, gentleness of manner and consideration for others. These were indeed deep qualities in him, appearances of the essence. Yet they could never be mistaken for weakness, sentimentality or lack of resolve. His hatred of injustice and oppression in all their forms had nothing half-hearted about it. In defence of principle he could be formidably energetic and single-minded, even intransigent, as his conduct in the Huntington affair shows. It is surely not fanciful to see such conduct as a ﬁtting counterpart to the purity and intensity of his philosophical vision. István Mészáros referred, in his eloquent funeral tribute, to pregnant remarks Roy made when very ill towards the end of his life. Perhaps it may be excusable to offer a personal recollection from that time. In our last conversation, less than a week before his death, he spoke of the need of all ʻto forgiveʼ, and when I asked what had to be forgiven he said ʻeach otherʼs fallacies and shortcomingsʼ. This is a moving utterance for a variety of reasons, some of them obvious enough. What seems to me most strangely affecting and revealing is the fact that the philosopher should have put errors of reasoning ﬁrst in his enumeration. In this extremity, as in all other circumstances of his life, Roy was true to the individual spirit within, the distinctive impulse that drove his thought and action. Integrity is too weak and moralistic a term for that achievement. It approaches much nearer to what should be called, in a phrase of one of his favourite poets, ʻunity of beingʼ. Those of whom anything like this might be said are exceptional human beings, and the world seems shoddier and more commonplace for Royʼs passing. His memory will help us not just to endure its condition but to strive for the kinds of improvement to which he devoted his life. Andrew Chittyʼs article ʻOn Humanitarian Bombingʼ (RP 96) was a welcome statement of opposition to the war against Yugoslavia, when so much of the mainstream press – most discreditably the Guardian – gave abject support to the bombing. However, I felt there were certain crucial omissions from the argument which weakened its impact.1. The Labour Party. On a global scale Chitty is quite right to see it as primarily an American war. But we should not forget Liebknechtʼs slogan: ʻThe main enemy is at home.ʼ Labourʼs support for the war (with carefully released rumours that Blair was being ʻtougherʼ than Clinton) has shown, even more clearly than the governmentʼs domestic measures, a clear break with even the most minimal socialist principles. Now that the war is over this leaves some very serious questions about the future relationship of socialists to the Labour Party.2. The anti-war movement. Chitty is right to note the defection to support of the war by a few wellknown ﬁgures on the Left, but quite wrong to be so pessimistic about the general level of opposition to the war. For the Guardian it was quite simple: refuse to report anti-war meetings and demonstrations – even debates where Guardian writers participated – and then deny the existence of an anti-war movement. In fact a broad movement – from Bruce Kent to Tony Benn, Liz Davies to Jeremy Hardy – did exist. Hundreds of local meetings, in colleges, hospitals and other workplaces, and on council estates, did take place. As one who took part in the ﬁrst demonstration in Britain against the bombing of North Vietnam in 1965, I recall it took over two years to build a signiﬁcant movement against the Vietnam War. Within the short space of the war against Yugoslavia, the movement advanced far more rapidly.3. The working class. Chitty neatly deconstructs the question ʻwhat would you do?ʼ as meaning ʻwhat ought the US government to do?ʼ, a question we should obviously reject. But deconstruction alone leaves us in a postmodernist void. Does the plural ʻyouʼ have any meaning beyond the aggregated moral choices of isolated individuals; is there a collective subject? Of course there is no simple sloganizing answer to this. ʻSerb and Albanian workers unite!ʼ has no immediate resonance in todayʼs Kosovo, even though, objectively, working people from both communities have more in common with each other than either has with Milosevic or the puppet leaders of the KLA. But such unity is not impossible. This is not just abstract rhetoric. Many Radical Philosophy readers are teachers in higher education. So it is worth mentioning that the NATFHE annual conference passed resolutions against the war by large majorities. Such resolutions provided a basis for launching the debate within colleges and an encouragement to members of other unions to do the same. Hence the question ʻwhat would you do?ʼ does offer the possibility of an answer couched in collective terms. If Radical Philosophy is to deserve that part of its subtitle which proclaims it a ʻjournal of socialist philosophyʼ it must address this issue systematically. Otherwise it will be no more than a collection of interesting articles, occasionally preﬁxed by a worthy statement on contemporary issues.